The low weight of the toboggans permits many transport solutions, even using existing infrastructure. Another decisive advantage of the Brandauer Mountain Coaster is the uphill transport of the toboggans. Since they are no more than half as heavy as other systems on the market, at about 40 kg (depending on design), they can be transported with T-bar or chair lifts, as well as cabin lifts, that are already installed on site. If no such infrastructure is available, the Brandauer mountain lift is an ideal solution to transport the toboggans and riders. 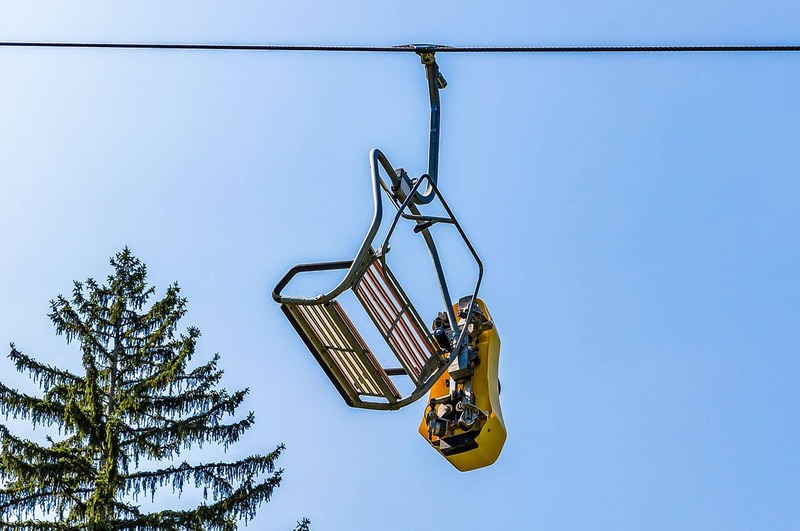 T-bar lift: The easy disassembly of the Mountain Coaster makes it possible to extend the use of existing T-bar lifts into summer. They can easily be adjusted to take toboggans and riders up the mountain or hill. The toboggan merely needs to be attached manually at the bottom station. Once on top, it will come free of the lift on its own and the ride may start immediately. Chair lift: Transport by chair lift is easy, too, and has been implemented multiple times before. Various systems are available depending on lift type. We will gladly plan and realise the optimal solution for you. Cabin lift: Using special transport carts adjusted to the present cabin type permits easy transport of up to three toboggans per gondola. 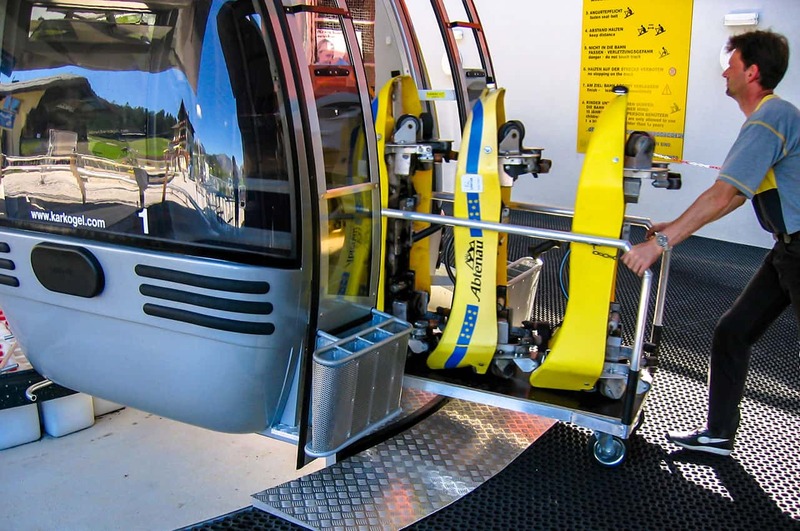 The toboggans can also be mounted outside the cabin so the lift is not losing any transport capacity at all. The Brandauer mountain lift: Is the perfect solution if there is no suitable means of transport or if a closed system is desired. The closed system makes it possible to leave the toboggans on the track, except for servicing. 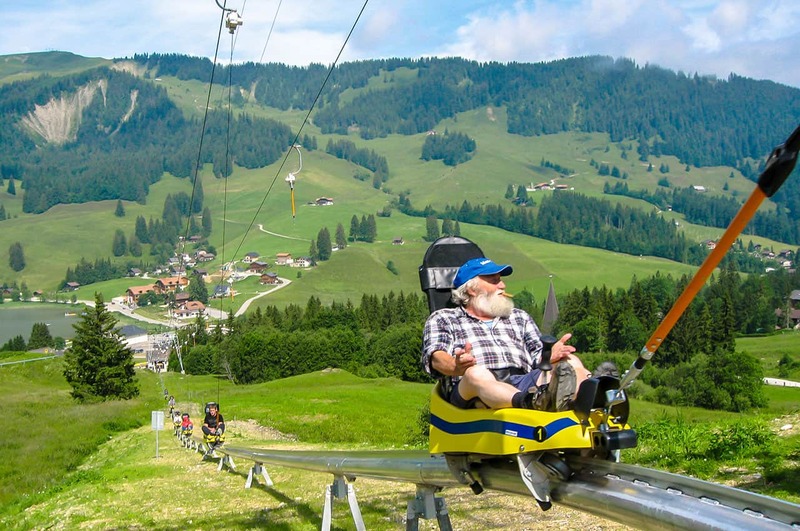 The number of toboggans can be adjusted to demand precisely, since the toboggan and rider are always transported together. Construction of the facility only requires minor changes to the natural environment, since it is installed on supports anchored in the ground, just like the track itself.